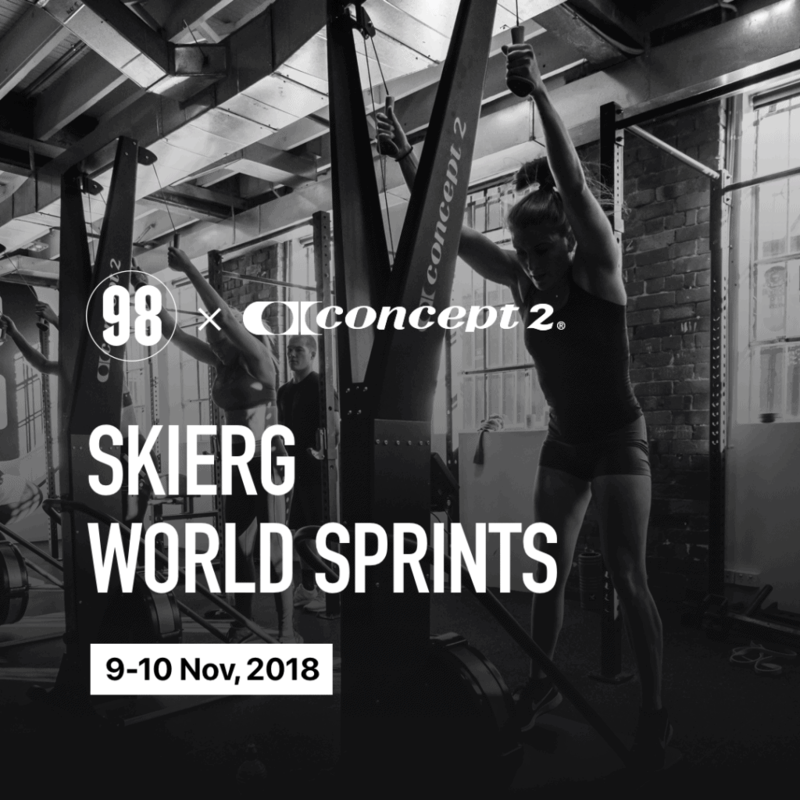 The 2018 SkiErg Sprints takes place between November 09-10, 2018. At 98 Gym. Race 1,000 meters on the Concept2 SkiErg November 09-10, 2018. Individuals should enter their time in their Concept2 Online Logbook by November 12 22:00 GMT (17:00 ET). We will do this for our members. We will be taking part in this sprint series as a gym on the Friday 9th and Saturday 10th of November class times. We will record everyone’s results and send them off to Concept 2. All members should have a run at this. I think you will surprise yourselves. This is time to test all the work you have done so far this year.